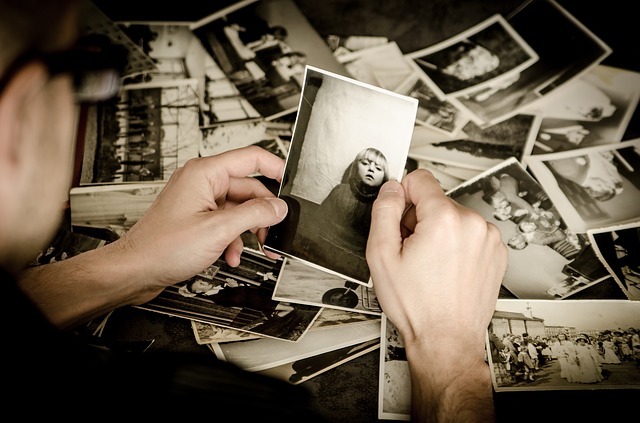 What is it about memories? When things are good memories are happy. When things aren’t going so well it seems like memories are just plain sad. I’m going to share the new and useful way I just learned to let them go. Not too many days ago I had one of those sad memory days. I got my lunch, drove 30 minutes to a mountain river and sat there and just watched. Natural places teach me so much. I love metaphors. As I watched, I noticed how the water would hit a rock and leap into the air then dissolve back into the rapidly flowing water. Here’s the metaphor. I realized that the leaping water was a metaphor for life’s upheavals—the water was literally heaving up over the rocks. Upheavals (which are opportunities or tragedies depending on how we view them, or where we are in them) rear up when our “life stuff” hits a rock or a dip. They show up giving us the opportunity to learn or be changed by them, then they dissolve back into that same “life stuff” from whence they came. We are left only with our memories—like the scent of a faded rose. The event itself is gone. What’s interesting is that the upheaval, the lessons, and the memories ARE ALL THE SAME RIVER. The water/life stuff takes a certain shape to present us with opportunities—maybe a chance to heal something from the past, or an opportunity to grow/evolve—and then they pass. They return to their original form and move on downstream. They only took that shape for a short time to be of service. A set of rapids was just downstream from the upheaving water. That “life stuff,” now containing the upheaval, lessons and memories hit the rapids to be churned up, mulled over, broken apart, and cleansed. Upheavals provide the same cleansing opportunity for our life events, if we let them. Often we hang on to them , keeping them in the present trying to figure them out, learn why they took the form they did, what we did wrong, who’s fault it is that we had to be in the mess. How much easier it would be on the heart to acknowledge the gift or lesson and release them to be carried away by the current. If we can sit back and watch, that is, be the Watcher or observer of our experience it’s much easier to see the value of letting go. If we’re really IN it, it can be hard to get a useful perspective, we may need someone on the outside of our experience to hold the space for us when we ourselves can’t get enough distance from it. That person can help us embrace the experience, glean the wisdom, and help us to let it go. The river provides a great metaphor for dealing with our memories and our upheavals. There’s the rearing up, the churning and cleansing, and the letting go—a simple 3-step process as taught by the river.